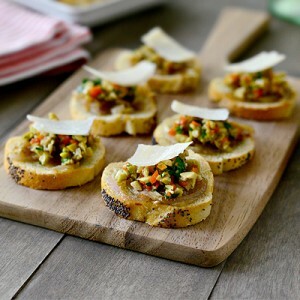 While not every get-together may be a dinner party, it is still a good idea to provide some small bites and appetizers to the guests. Here we will be going over some delicious recipes that land on the top ten holiday appetizers list for 2018. Turkey cups are essentially savory little holiday cupcakes. 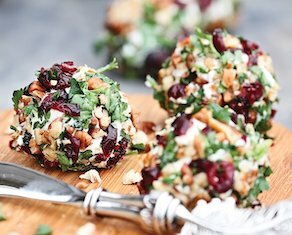 Made with cranberry sauce, stuffing, and turkey, along with herbs and spices, these little cups pack a mighty punch of holiday flavor in a little cupcake wrapper. They can also be tweaked to include other proteins and vegetables. Filo dough is baked into miniature bowls and filled with a variety of goodies to make this delicate holiday appetizer. 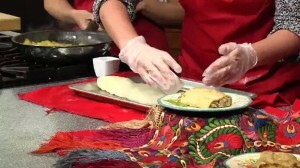 While some may do a bruschetta and mozzarella filling, filo dough is versatile enough to support a sweet warm brie and fig filling, or any other dessert. 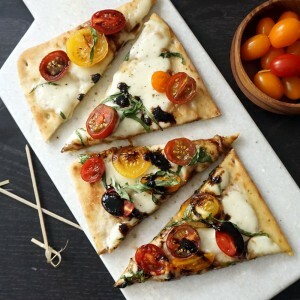 A traditionally summer-y flatbread can be transformed into a holiday appetizer by topping the bread with spicy marinated cheeses, herbed meat, and butternut squash for a salty sweet combination to die for. Give the old crackers and cheese plate an upgrade with this simple sweet treat. Combine cream cheese, apricots, dried cranberries or cranberry sauce, and orange zest for a dip that will have them coming back for more. 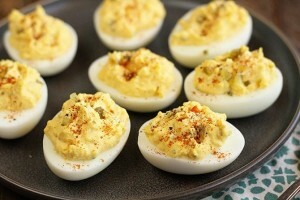 The flavor profile of deviled eggs allow for a lot of creativity when it comes to putting your own spi on this classic recipe. Consider including pickled pepperoncinis in the egg mix, or topping the finished product with a fresh olive tapenade to really wow the guests. Switch up beef meatballs for turkey meatballs with a homemade festive sauce on the side. Cook meatballs in the oven and whisk together fresh basil and mint on the stove with honey, mustard, and ginger for a bold dipping sauce. This holiday party staple lends a certain kind of elegance to the table even though it is extremely simple to make. 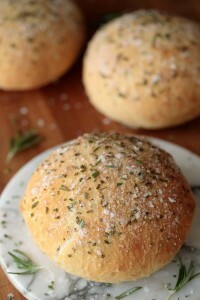 Take mushrooms, fresh herbs, garlic, and meat, roll it all into pastry dough and bake. Voila! 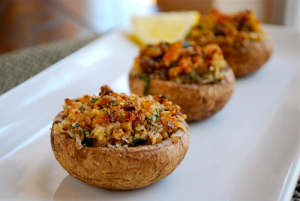 Empty mushrooms make the perfect appetizer cups! They are clean little edible bowls that could be filled with cheeses like pecorino romano, seasoned breadcrumbs, and even small pieces of sausage to make this a new favorite for your holiday get-togethers. Buying shrimp cocktail or making your own baked shrimp and plating them with fresh parsley and citrus peel make for a simple, yet stunning presentation of a tasty dish. You could even make coconut shrimp, or bread them in Italian bread crumbs for an extra kick of flavor. Baking a warm focaccia or ciabatta bread with fresh rosemary not only fills the home with fragrance, but makes for a delectable hors d’oeuvres when paired with an artisanal charcuterie board. I hope that this list of the top ten holiday appetizers will be helpful when you are planning your next party this holiday season. Remember that it is always a good idea to offer a number of options so that there is something for everyone to enjoy. Happy cooking!